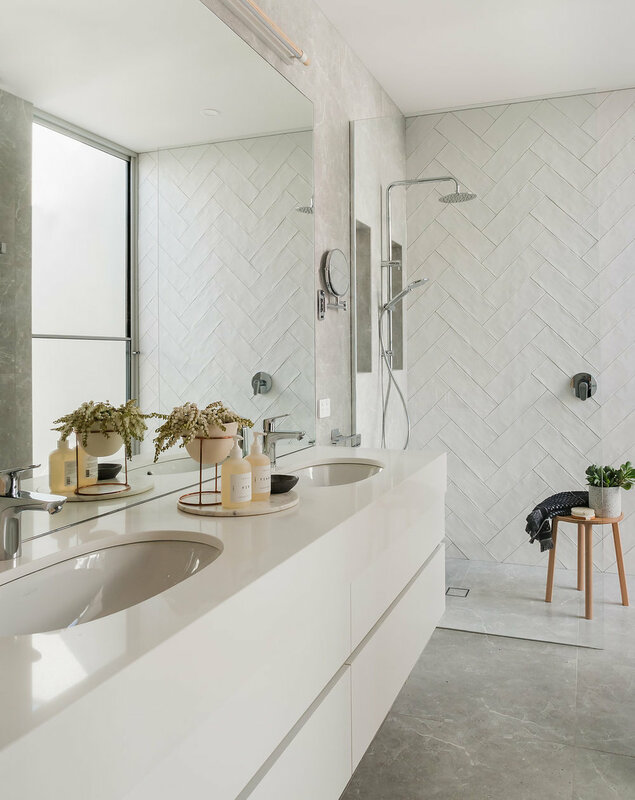 Melissa collaborated with renowned inner west Melbourne architects Basset Lobaza and builder Truform Construction on the renovation of a beautiful Victorian home in the historic beach- side suburb of Williamstown. The clients, a Brazilian couple with their 2 older boys purchased the property 2 years ago that had a bad 90's hangover. The facade was brought back to its former glory and heritage features remained throughout with detailed ceiling roses, architraves and skirting boards as well as the generous high ceilings. Melissa worked with the clients to carefully consider each surface and material and ensure it was practical for everyday living and entertaining as this was strongly outlined in the brief. There is no carpet in sight as their Labrador is part of the family and noticeable fur was a no-no! The open plan living area features detailed joinery and flows onto stacker doors leading onto the undercover alfresco area that has a built-in bbq and Brazilian rotisserie grill. The construction process took a little over 6 months and the clients are ecstatic with how their new home looks!